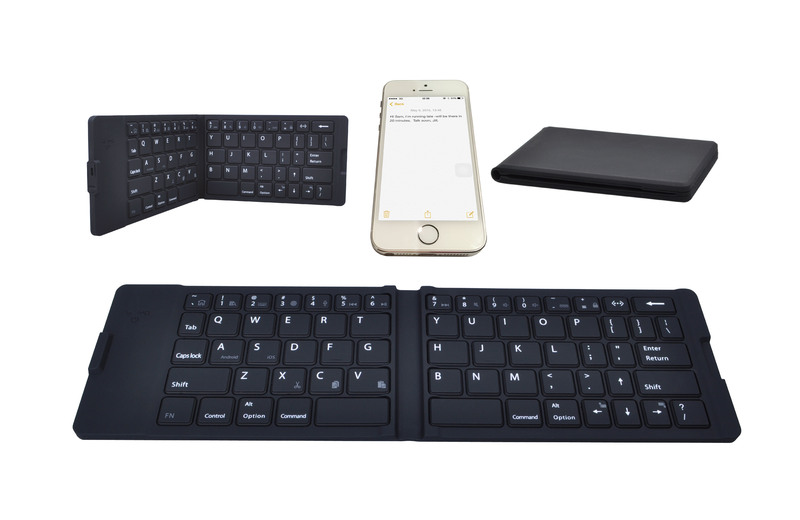 The EASY-KEY is a Wireless Waterproof Keyboard that folds and enables you to easily type texts and emails on to your mobile phone or tablet without making typical touch screen typing mistakes. 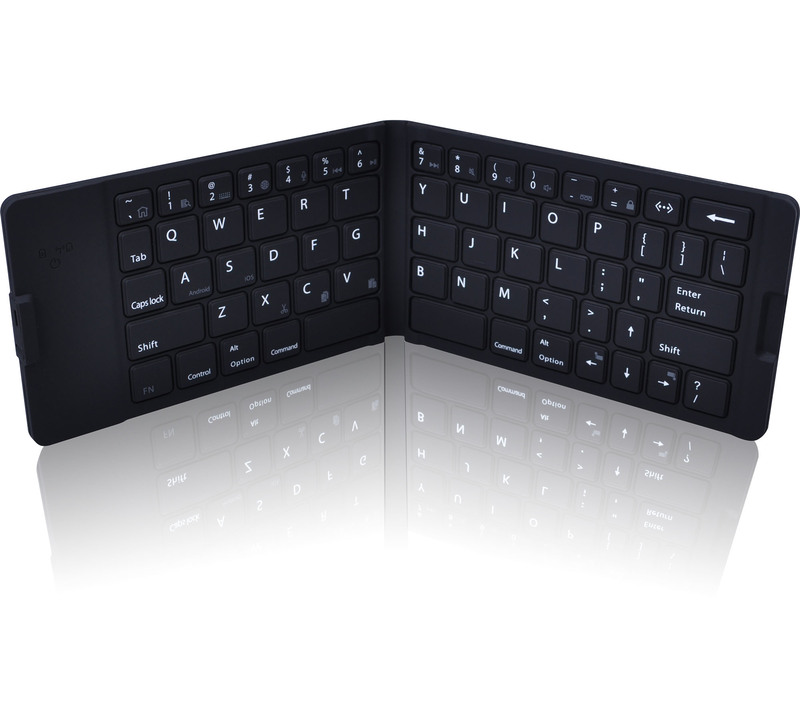 The foldable EASY-KEY wireless mini keyboard is very compact and lightweight and helps eliminate touch key typing mistakes making data entry a snap. 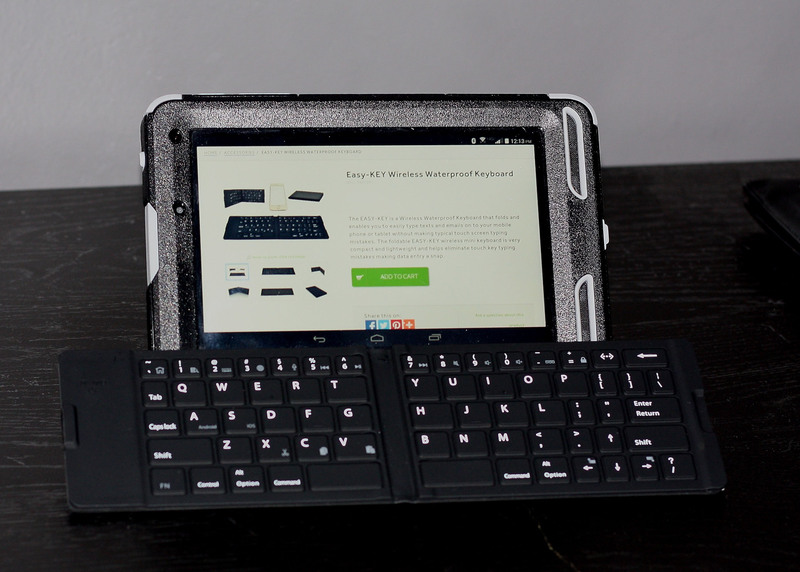 The Schatzii Easy-KEY Wireless Waterproof Keyboard is compact and portable, and enables you to easily type texts and emails on your mobile phone or tablet without making typical touch screen typing mistakes. 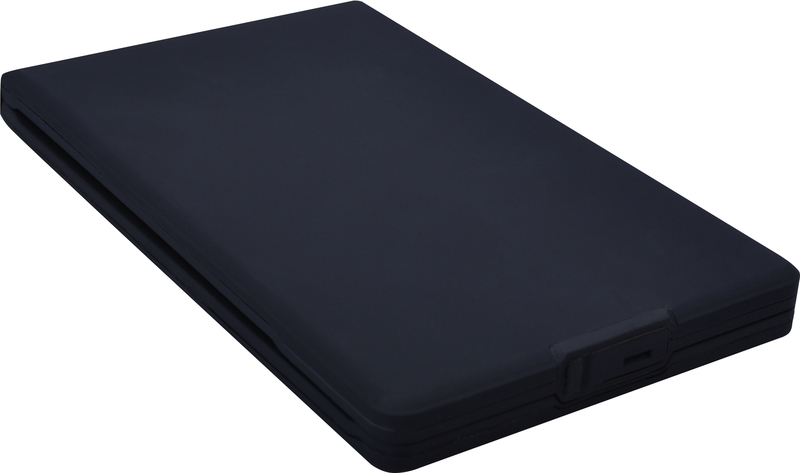 The portable Easy-KEY’s compact size makes it easy to carry, and is about the size of a smartphone when folded. 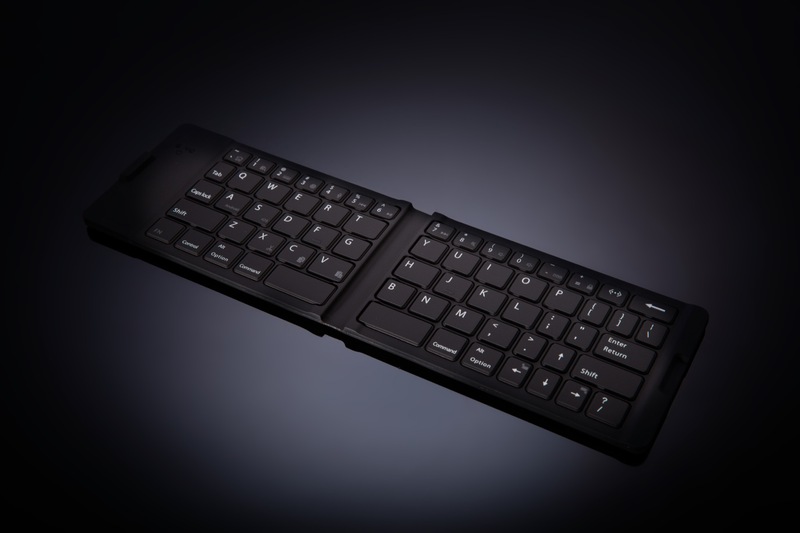 The keyboard folds in half easily and shuts securely with a magnetic closure so you can slip it into your pocket or purse and take it on the go anywhere. The EASY-KEY is also waterproof and spill-proof too, so don’t worry about getting the keyboard wet with the occasional spill - just wipe it dry and the keyboard is ready to use again. 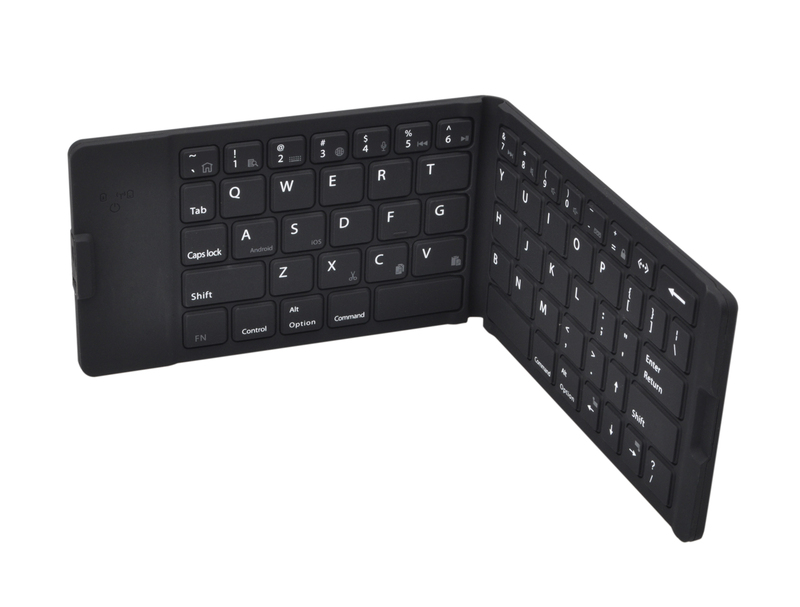 Easy-KEY is portable, compact and lightweight, and helps eliminate everyday touch key mistakes making data entry a snap. Easy-KEY works with any smartphone or tablet, or with any other bluetooth enabled device.